Transparent and Specialty Films is a bi-axially oriented polypropylene film designed for flexible packaging, packaging, label & Print finishing applications. OPP, oriented polypropylene, is a flexible material derived from melting and orienting a polymer called polypropylene. 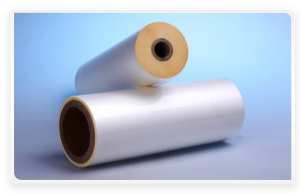 Biaxially oriented means that the polypropylene film is stretched in machine direction and in transverse direction. The main feature of Transparent and Specialty Films films are improved stiffness, high tensile strength, excellent optics and good water barrier properties. They range from 15 to 50 microns and are most commonly 15 to 30 microns. Transparent and Specialty Films films have the advantage of being non-toxic and fully recyclable.